In a new memoir called Blowing The Bloody Doors Off, Caine tells his story of six decades in film and shares some of the best advice he's received throughout his career. Oscar-winner Michael Caine was an entirely new breed of actor when he hit it big in the early '60s. With his trademark Cockney accent and timeless cool, Caine is still a force to be reckoned with in his 80s. In recent years, audiences will recognize him for his films with director Christopher Nolan, such as The Dark Knight, Inception and Interstellar, but many still remember him best for his earlier hits like Alfie, Get Carter, Educating Rita and The Cider House Rules. 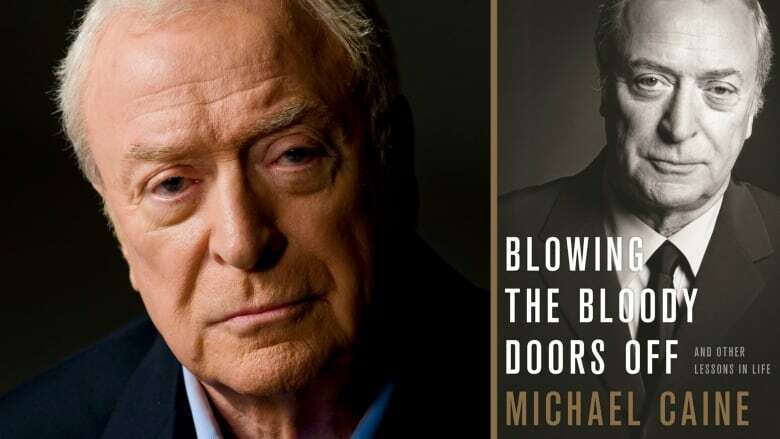 Now, in a new memoir called Blowing The Bloody Doors Off, Caine tells his story of six decades in film and shares some lessons he's learned over the years. He joined q host Tom Power from London to reflect on his career and share some of the best advice he's collected along the way. Below is a bit of that advice. "The first little theatre I was in as a stage actor, I was playing a drunk. We were rehearsing, and a producer said, 'Wait a minute, Michael. What are you doing?' I said, 'Well, I'm a drunk in this scene.' He said, 'No, you're not a proper drunk. A drunk is a man who is trying to speak clearly and walk straight. You are an actor who's trying to mumble and walk crooked.' And the other one, he said to me a little later, I had a scene in a play where I had to cry, and so I was crying. And then again, he stopped me, he said, 'What are you doing?' And I said, 'Well, I'm crying in this scene.' He said, 'You're supposed to be a man crying. When a man cries, he would do anything not to cry. You are an actor who's doing anything to try and cry.' So he taught me movie acting in two sentences. "I just made Alfie and I was in Hollywood in the Beverly Hills Hotel with nothing to do. ... I used to sit in the lobby looking for movie stars and I spotted John Wayne. "He was registering in the hotel, and he looked at me, and said to me, 'What's your name kid?' I said, 'Michael Caine.' He said, 'You in that movie Alfie? You're going to be a star kid. But let me give you some advice. Talk low, talk slow and don't say too much.' And he looked down at my shoes, and I was wearing suede shoes, and he said, 'And never wear suede shoes.' I said, 'Why not?' He said, 'Because I just told you, you're going to be famous. And you're going to be taking a pee in the gent's toilet and the man next to you is going to recognize you, and turn, and he's going to pee all over your shoes, so don't wear suede shoes." Listen to the full conversation with Michael Caine near the top of this page, where he also talks about Christopher Nolan showing up at his house with the Batman Begins script, and what he thinks of comedians doing impressions of him. What makes creepypasta so scary?